Faced with aging classrooms, the need to bring school facilities up to current standards, and to provide equity among District schools, the Board of Trustees of the Benicia Unified School District placed a local school improvement measure on the June 2014 ballot. Measure S, a $49.6 million general obligation (G.O.) bond program, passed. The Benicia Unified School District (BUSD) seeks members for the BUSD Citizens’ Bond Oversight Committee (CBOC) for the Measure S School Facility Program. As required by law, the CBOC was established on October 4, 2014, and has met quarterly since then. The purpose of the CBOC is to inform the public, review bond expenditures and present an Annual Report to the School Board. There is one seat open on the 7-member committee and (4) seats that will come for re-appointment in October 2018, and existing members may be re-appointed. The deadline for application is October 4, 2018. The term of each member is 2 years, and no member may serve more than three consecutive terms. In order to be considered for the committee, an application must be completed and submitted to the BUSD Superintendent’s Office at 350 East K Street in Benicia. The applicant must also belong to a senior citizens organization. The BUSD Superintendent will review the applications and then bring a recommendation to the School Board to appoint or re-appoint to thisi opening on the CBOC at a school board meeting. Applications may be picked up at the BUSD District Office at 350 East K Street, or from the BUSD website at www.beniciausd.org, under the tab for Measure S.
The Committee will meet quarterly in the Benicia Unified School District Board Room, 350 East K Street. The next meeting is scheduled for October 5th at 1:30 p.m. The voters passed Measure S on the June ballot and were then obligated to establish a Citizen’s Oversight Committee. The Oversight Committee will meet at least once a year and will inform the public about the expenditure of bond revenues. The primary role of the Committee is to review expenditures and confirm they are consistent with projects which were identified on the voter ballot. Per The Brown Act, meetings are open to the public, anyone can attend the Citizen’s Bond Oversight Committee meetings. The Committee can only take action on items that are listed on the agenda. Each speaker is limited to not more than three minutes under Public Comments and three minutes on non-public hearing agenda items. No one may speak more than once on an agenda item or during “public comments.” After having heard from the public, the agenda item will be closed to the public. Deliberations will then be limited to members of the Committee. The term of each CBOC member is two years. In accordance with the CBOC bylaws, no member may serve more than (3) consecutive terms and the BUSD school Board shall appoint the CBOC members after a recommendation from the BUSD Superintendent who has solicited applications for memberships. 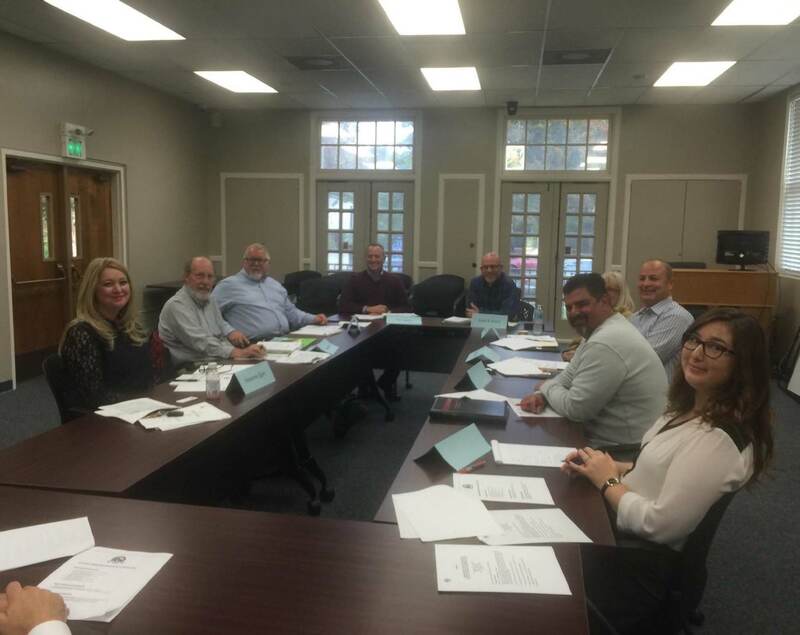 The Governing Board considered and approved members for the Oversight Committee at the Board meeting on October 14th, 2014. The 2014 committee selected consisted of: Ron Arrants, Ellen Blaufarb, Pierre Bidou, Scott Burford, Steve McClure, Patricia Lopes, and Abigail Schaudel. The term of five of the initial members ended in October 2016. Public solicitation was advertised via local newspaper advertising and posting on the BUSD website. At the September 15th, 2016 Board Meeting the following five new members joined the two incumbents to create our new committee comprised of: Ron Arrants, Scott Burford, Scott MCclure, Patricia Lopes , Todd Blaettler, Linda Cole and David Sells. October 25, 2016 was the first meeting with the three new members. The Committee voted to elect returning members Scott Burford as the new Committee Chair and Steve McClure as the Vice Chair. 9. Benicia Middle School Fire Alarm Upgrade. 11. Benicia High School Fire Alarm replacement. 15. BHS locker room HVAC upgrades (jointly funded with Prop 39 monies). The projects were identified through a process that began with our Facilities Master Plan. This document was developed via a series of public meetings at each school site as well as an evaluation for each building by the Architect for structural and other needs. Recommendations were then brought to the Board and the document was approved in it’s format as shown in the link below. Projects identified in the Phase 1 group are higher priority than projects in the Phase 2 group, et al. The document is intended as a guide and can be modified by the District as needed. The Request for Proposals and Bids for Measure S Bond projects are attached below. 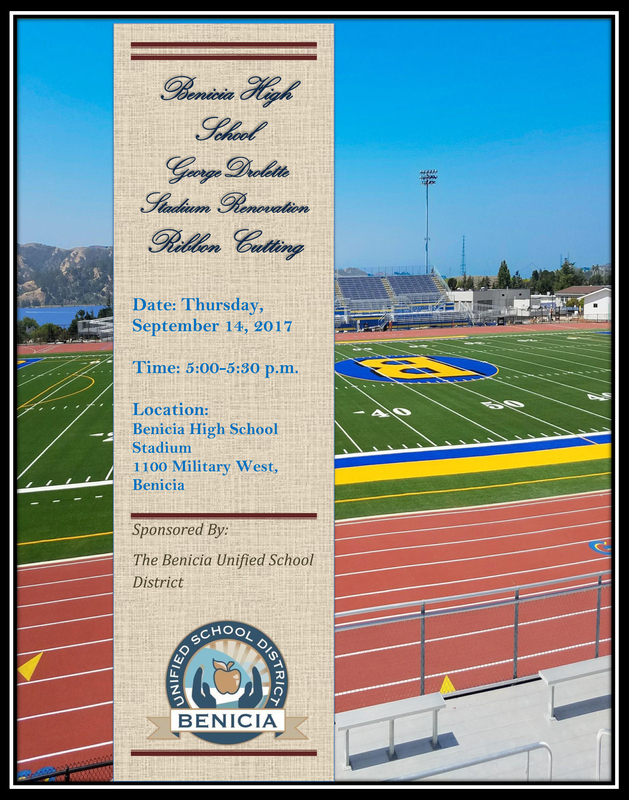 For questions email Bond Director Roxanne Egan at regan@beniciaunified.org.